At the end of February 2018, Storm Emma hit Ireland and brought to Dublin the heaviest snow experienced since January 1982. 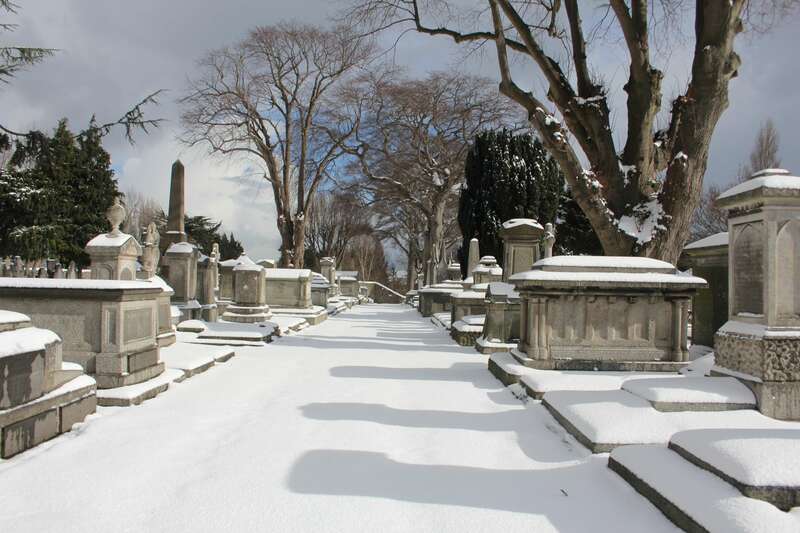 Inspired by the Snow and James Joyce‘s short story “The Dead”, a video was created. The Circular visited two locations for the production of this piece: Mount Jerome cemetery in Dublin and the grounds of St. John’s Church in Co. Wicklow. The Dead is the last story in the Dubliners and probably James Joyce’s greatest, and his words “Yes, the newspapers were right: Snow is general all over Ireland” inspired this project. Direction and Photography: Andreina Gonzalez. Voice Over: Patrick Timmons Ward.